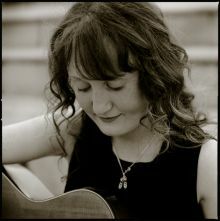 Emer Dunne is a multi-talented, emerging singer and songwriter from Laois, with her music roots based in so many genres, including Irish, jazz/blues and acoustic folk. She has been singing on stage since the age of five. After the success of her first recording, ‘Another Land’ which was launched in her hometown and into the Midlands music market by RTE’s, Mary Fanning, she has quickly come to the attention of a whole new audience and word is spreading fast of this young girl’s talent. "This girl has an amazing voice and could sing any kind of music" John Brady, KFM.